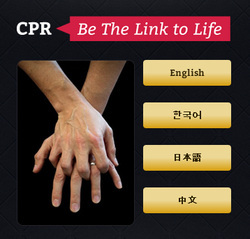 Dispatch CPR Training Module - F.I.E.R.C.E. Cardiac arrest is a leading cause of death around the world. This training will provide you with an overview of the latest guideline recommendations for telephone-assisted CPR. Through still images, video files and interactive tutorials based on actual audio recordings, it offers the tools you need to identify cardiac arrests over the phone, start CPR instructions as early in calls as possible, and provide continuous coaching to lay rescuers performing CPR. You’ll gain the know-how necessary for saving lives over and over again in your community. Best of luck with the course and, above all, never forget the importance of the work you do. This is a free training course and is available to anyone. Click the button below to start.